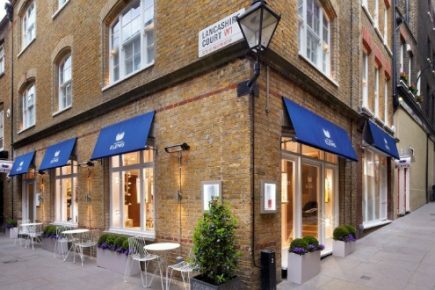 The House of ELEMIS is a luxurious Mayfair townhouse and is the creative heart of ELEMIS, where spa meets science meets skin. Over 25 years of expertise inspire the ELEMIS formulas and treatment menu, which is designed to deliver exactly what you need, when you need it. Said to be for people who are serious about looking after their skin and serious about looking after themselves, ELEMIS Elite therapists personalise treatments and design them for the ever-changing nature of your skin. From facials, to body treatments to scrubs and wraps, each treatment is designed with the ethos that no two skins are the same, so expect a bespoke and indulgent experience.